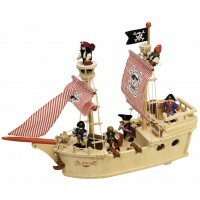 Wooden Boats and Noah's Ark toys have been popular with children for hundreds of years. In Victorian times these were very often the only toys children were permitted to play with on Sundays! 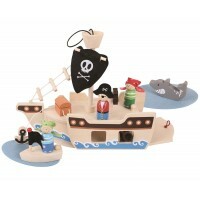 Our selection of Boats and Noah's Ark toys includes a range of shape sorters which encourage children to learn about size and shape recognition while also telling the story of Noah and the flood and learning the names of some familiar animals. 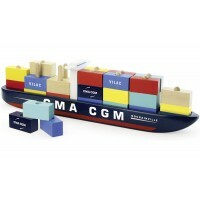 Boats and Arks also inspire many hours of imaginative play on every day of the week. Our Pond Yachts are perfect for sailing both in the bathtub or outdoors on breezy summer days! These beautiful wooden boats and arks will become a family favourite as soon as they reach dry land in your homes!